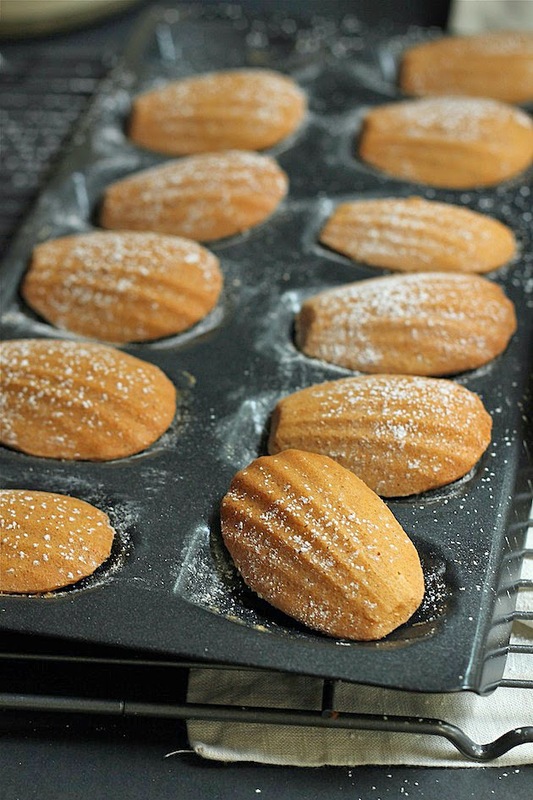 Position the rack to the center of the oven and preheat to 350 degrees F. Use a little softened butter to grease the madeleine pan. Quick tip: I actually used a pastry brush that has been brushed with softened butter to grease the pan. The brush covers more surface area and gets into the grooves of the pan much better. Dust the pan with flour, shake off the excess flour, and set the pan aside. Add the flour, 1/2 teaspoon cinnamon, baking powder and salt to a bowl. Whisk to combine and set aside. Fill the madeleine pan about 3/4's full. Bake for about 9-11 minutes. Check them at about 9 minutes to see how close they are to being done. They will be dry if they are over-baked, so be careful! Once they are done, remove them from the oven and let them cool in the pan on a wire rack for 10 minutes. 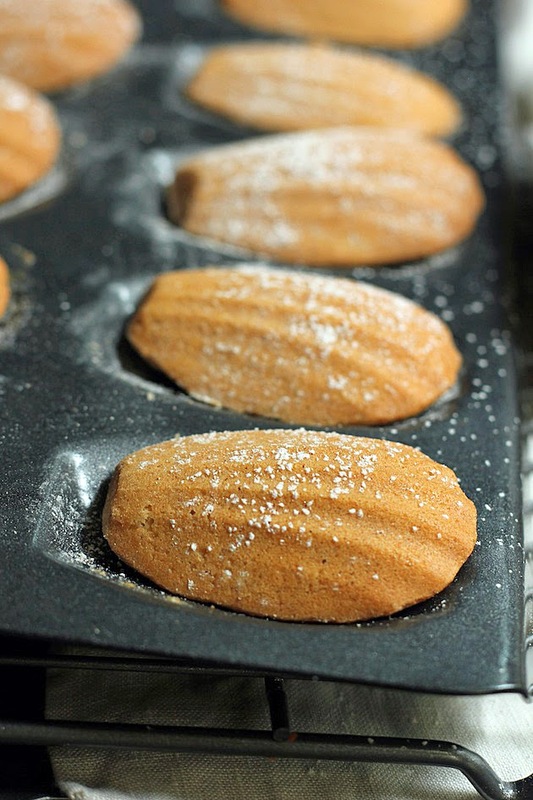 While they are cooling, add the tablespoon of powdered sugar to a fine mesh sieve. Once the cookies are cooled, remove them from the pan and dust them with the sugar. I think they taste best right out of the oven, but you can store them in a sealed container for up to 2 days. Enjoy!